Pauline Parker (Melanie Lynskey) is a miserable, misfit of a girl in the early 1950s in Christchurch, New Zealand. Her life is transformed when Juliet Hulme (Kate Winslet) sweeps into her life, bringing a whole fantasy world that the girls create where they are king and queen and all sorts of dramas take place. But when they are threatened to be separated, drastic action is required, and they plot to kill Pauline’s mother. It’s based on real events, and it is frightful story. But it is really amazing. The two leads are marvellous, with the intense, giggling and passionate friendship that is surely unique to teenage girls. But I think my favourite part of this is the world they go to, with life-size figures made of clay living in the palace that the girls created in their minds. 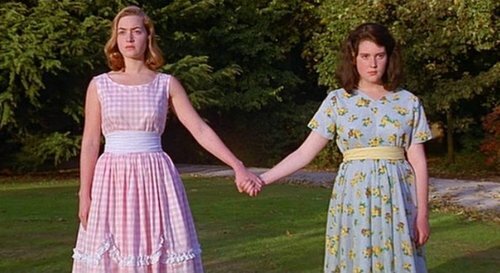 Heavenly Creatures was nominated an Oscar for Best Writing, Screenplay Written Directly for the Screen (Fran Walsh and Peter Jackson).